Today I was thinking, Let's Hit The Beach! 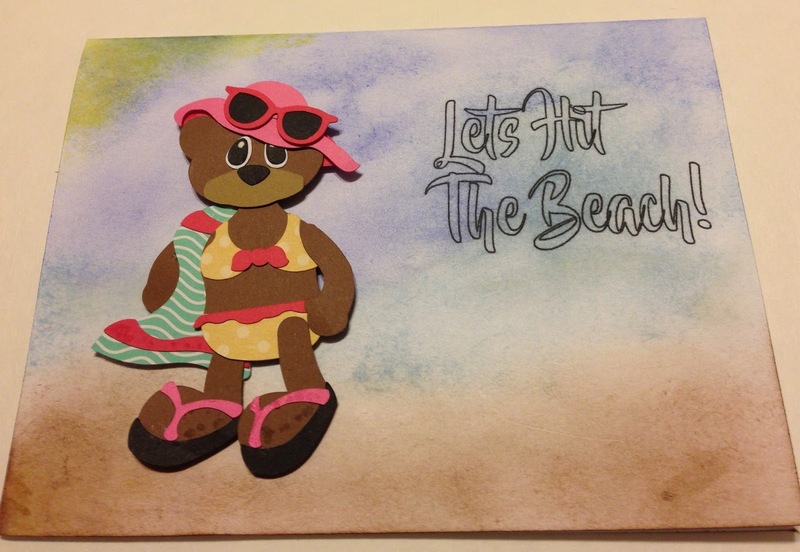 I created this card because I love swimming and would love to go to the beach. I had to put her in a Teeny Weeny Yellow Polka dot Bikini! I bet you just sang that. :). I used the file, Bear In Bikini CF and you can find it Here at Paper Crafting World. To make the background I sponged ink on the card stock creating a beach, ocean, sky and the sun.